Everyone I’ve ever known has felt strongly about redheads, to one extreme or the other. Redhead haters rejoice – this time, it’s all her fault. In “The Prospector’s Curse,” takes us back to the Klondike Gold Rush, a time when mustachioed gentlemen run to the defense of the town whore. Miss Rosie’s most adoring client, “Tubby,” accidentally killed her latest client in a jealous rage, reminiscent of Steinbeck’s Lennie Small. Now Tubby has run off with Jack, a carpet bag-toting confidence man who has just drained the town’s workforce dry. When the two run across a dying gold prospector, their plans for the future begin to unravel. All the prospector wanted was a proper Christian burial and for his finest belongings to be delivered to his family. When the two fail to comply… Well, you’ll just have to see. will be pitched as the first “Chapter” of an anthology horror feature (i.e. “Tales From the Crypt” and “Creepshow”). Each chapter will pay homage to a different genre of B-Movie, including this Spaghetti Western inspired ghost story, a Film Noir thriller, a 1950s style Creature Feature and a psychedelic slasher flick. Let’s hope they all have the same wry sense of dark humor as this one. Take a look at the official trailer, below. For more info about the film, visit the director’s website and Facebook fan page. For the original SML coverage of the project, click here. 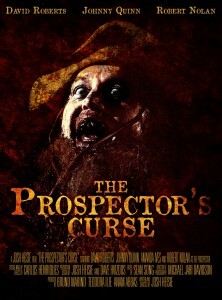 The Prospector’s Curse – Trailer from Josh Heisie on Vimeo. 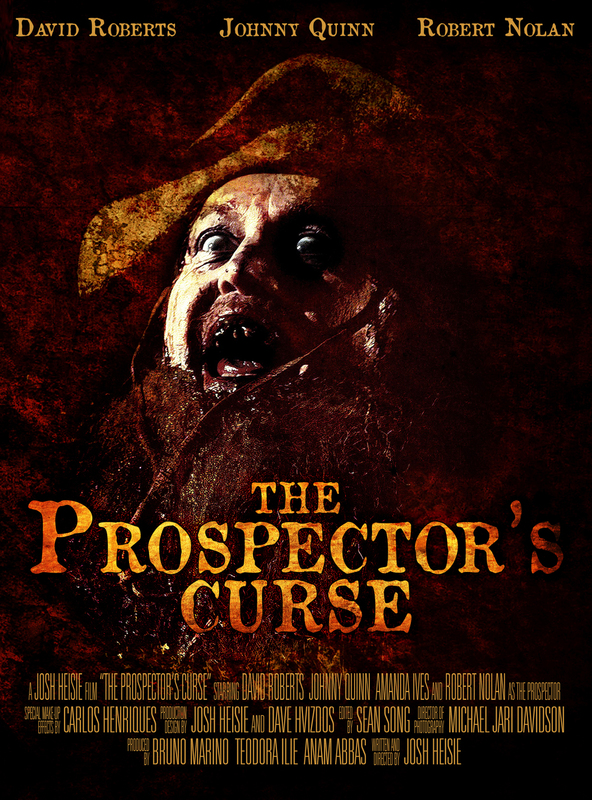 gold prospector, Horror film, Josh Heisie, short film, The Prospector's Curse.